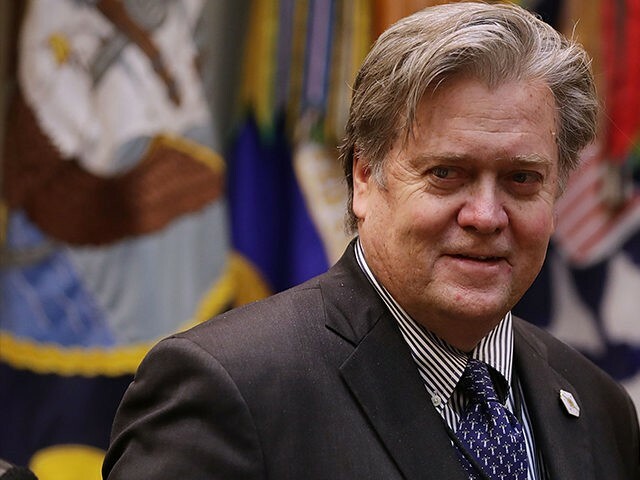 The New Yorker magazine, which considers itself a highbrow intellectual publication, has disinvited former Breitbart News executive chairman and White House adviser Steve Bannon from its upcoming ideas festival in the first weekend of October. But it turns out that New Yorker readers — and writers — do not “prize” a “wide-ranging collection of perspectives” after all. Nor do the Hollywood celebrities who threatened to boycott the event if Bannon was allowed to appear with Remnick. 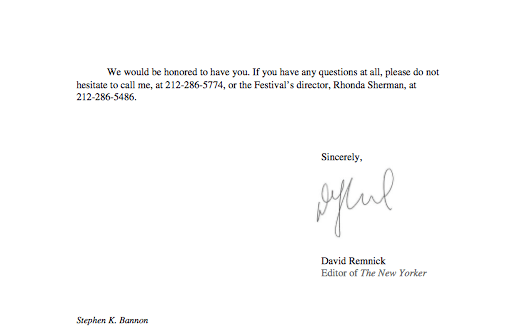 In a two-page statement, Remnick tried to explain the decision. “The reaction on social media was critical and a lot of the dismay and anger was directed at me and my decision to engage him. 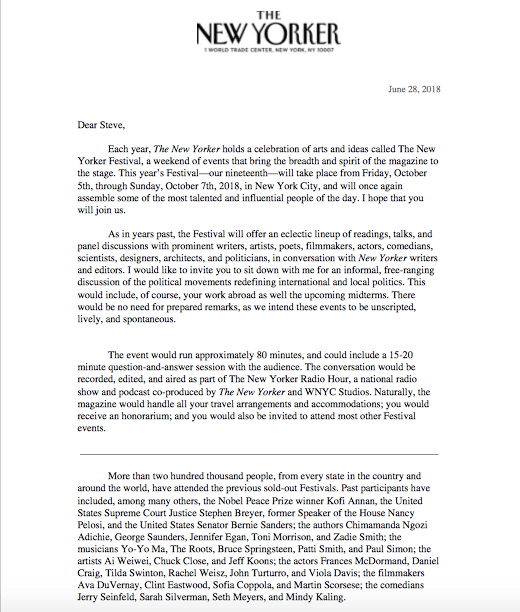 Some members of the staff, too, reached out to say that they objected to the invitation, particularly the forum of the festival,” Remnick said. Bannon has never expressed any support for those ideas, but Remick did not point that out. Instead, he argued that Bannon was hardly an obscure figure who needed another platform. He also continued to have influence on the White House, Remnick argued, and was important to question publicly for that reason as well. 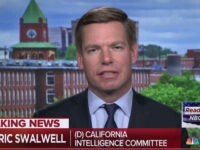 “The point of an interview, a rigorous interview, particularly in a case like this, is to put pressure on the views of the person being questioned,” Remnick explained. However, he continued, he had decided to disinvite Bannon — hoping to interview him “in a more traditionally journalistic setting” at some future date. Remnick did not explain why Bannon would ever speak to his magazine again after being disinvited.